In 1978, a horror film was made in Oneida County. Odds are you haven't seen it. Mackenzie Martin tells us about the making of the movie and talks to those who love it ahead of a special 40th anniversary screening at Rouman Cinema in Rhinelander on Saturday, August 18th at 5:00 p.m.
Trust us, it's better if you listen. It’s the summer of 1978 in Oneida County. "Shadow Dancing" is the number one song on Billboard’s top 100 list and Ed Phebus is 15 years old. He’s driving his grandfather around town - without a driver’s license - and his grandfather has an interesting request. He asks him to drive to the movie set of a film. He snagged a role as an extra. Gloria DeHaven was just one of the Hollywood stars that came to Oneida County that summer in 1978. Bog - the movie - also starred Aldo Ray and Marshall Thompson. Overall it’s a pretty obscure movie about a lake monster that is awakened with a taste for human blood. A local sheriff and biologist, among others spend the whole movie trying to stop the monster. It was shot in and around Harshaw, Minocqua, and Lake Tomahawk, but it wasn’t widely released or particularly well liked. The way the movie ended up being shot in the Northwoods is still a bit of a mystery. Phebus says it mostly happened because of a cinematographer that lived on Bearskin Lake at the time. Phebus says he was the one that convinced them to come up here and do a movie, but he didn’t have any input on what movie. Phebus has shown the film a few times locally to people interested, but otherwise, he hasn’t thought about Bog too much for the last 40 years. Then a few years back, he met possibly the biggest fan of the film ever. Possibly the biggest fan of Bog is Todd Brown. 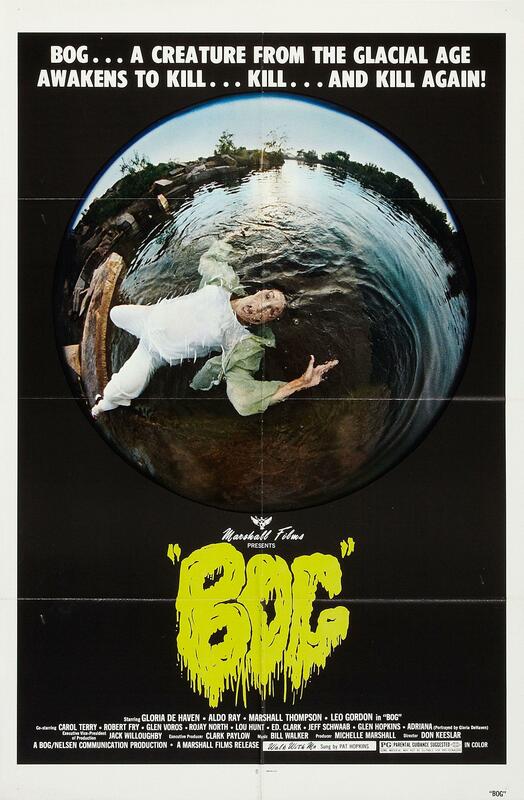 So much so that he’s put together a 40th anniversary screening of Bog this Saturday, August 18th at Rouman Cinema in Rhinelander. Brown says growing up in Ohio, he and his friends would watch Bog and over and over again. Producer Michelle Marshall, right, talks over a scene with stars Marshall Thompson, middle, Gloria DeHaven, left, and a crew member. 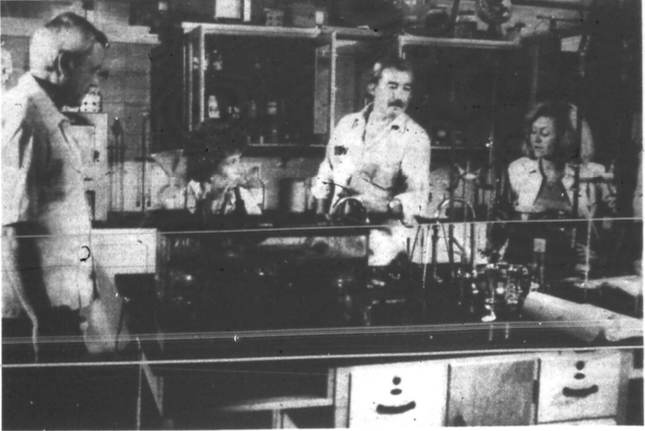 Abbey McEnroe (Lakeland Times) reports that DeHaven’s laboratory was the biology lab at Lakeland Union High School. Photo from the July 27, 1978 edition of The Lakeland Times. Brown has done a lot of research on the movie the last few years and he says many of those involved in the filming and production of the film never even saw the finished product, including the director Don Keeslar. Brown says he tracked Keeslar down one day by phone. He said he loved the movie. Keeslar’s response was “that movie got finished?” According to Brown, Keeslar called cut on the final day of filming and had nothing to do with the final production of the movie. Brown says he wanted to host the screening in Rhinelander since the movie was never shown in theaters in Oneida County. He says it’s not that it’s the best worst movie ever - it definitely isn’t - but it’s the first bad movie he ever saw, and that means something. Every time Brown watches a bad movie - and he watches a lot - he wants it to feel like the first time he watched Bog and it never quite does. “I just have so many fond memories of growing up, coming of age, and watching this movie,” says Brown. “There’s another thing about the earnestness of it. It’s just so pure. You can tell the people set out to make a good effective movie here. They didn’t set out to make something bad. It’s true, the makers of the film didn’t set out to make something bad. John Kenneth Muir is a movie critic and author of several film reference books, including Horror Films of the 1970’s. Muir says in the end, the movie definitely isn’t good, but it also isn’t quite bad enough to become a cult classic like The Giant Spider Invasion (1975), directed by Bill Rebane and shot in Gleason. “That film also had that sort of set up where you had the local people trying to figure out the nature of this monster,” says Muir. Muir says to understand a horror film like Bog, you first need to understand the context of horror films in the 1970’s. There were a lot of people trying to repeat the success of Jaws in 1975. Ultimately though, there was a craftsmanship in movies like Jaws that Bog just didn’t have. While it may have been a poorly produced film, Ed Phebus says whenever he watches Bog, it brings him right back to 1978. 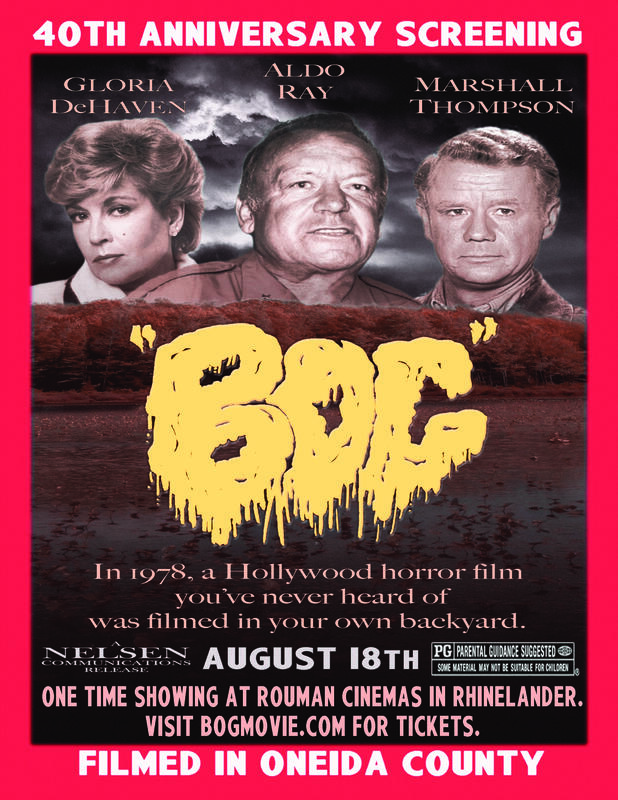 You can see Bog on the big screen this Saturday, August 18th at 5:00 p.m. at Rouman Cinema in Rhinelander. Some fans of the movie will be coming dressed as their favorite characters and the actor who played the lake monster will be there. This Sunday, August 12th, Treehaven College of Natural Resources in Tomahawk is celebrating the installation of a labyrinth on their grounds. There will be an official ribbon cutting ceremony at 2:00 p.m., followed by the first official walk of the labyrinth. The event is free and open to the public and will feature a cake in the shape of a labyrinth. Mackenzie Martin talked to the UW-Stevens Point student behind the project about how it came to be. 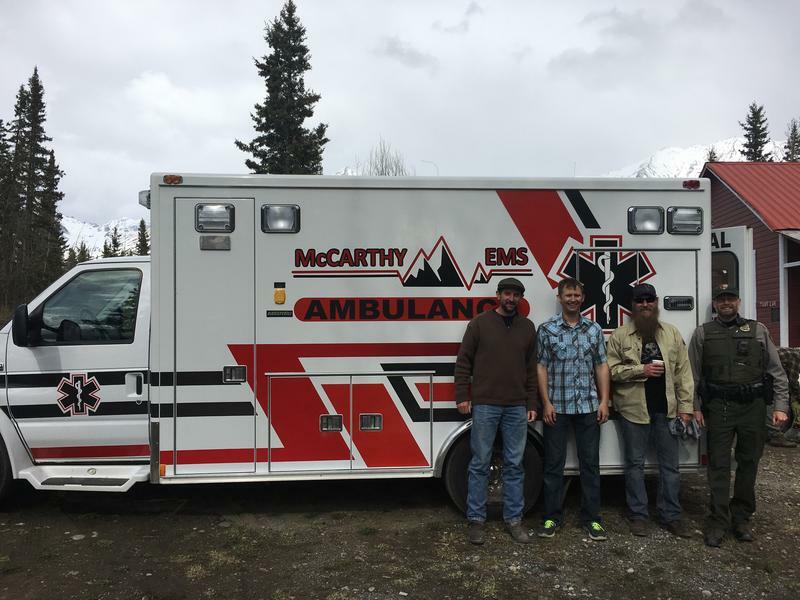 This is the story of two ambulances and a resident in Boulder Junction who felt compelled to help out a small Alaskan town a few weeks ago. Mackenzie Martin takes it from there. Living in the Northwoods, we often feel like we live in small towns.